Erin Barrett - Robert L. Lambert, Jr., P.C. Erin Barrett, MSN, RN, is Lambert Elder Care Law’s Elder Care Coordinator. Erin brings a wealth of knowledge and expertise to our team in senior living options, aging in place, healthcare systems, and community resources in the Georgetown, Round Rock, and Austin, Texas areas. Erin was raised in a military family and has lived in eight states and four countries. She started as a housekeeper and nursing assistant in two upscale British nursing homes while still in high school. She transferred from the University of Maryland in Munich, Germany to finish her BA in Anthropology at the University of Texas at Austin. 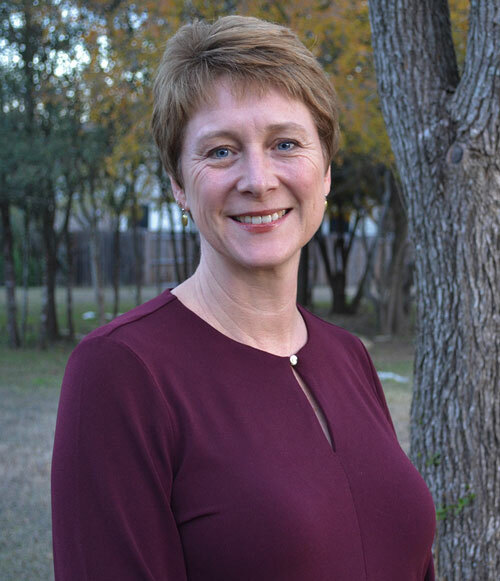 After a brief stint working in the UT Libraries and going on medical relief trips to Honduras with the non-profit M.E.D.I.C.O., Erin returned to UT and received her Master’s Degree in Nursing from the UT Austin School of Nursing in 1998. Since then, she has worked in diabetes management, breast cancer awareness, acute care nursing, and community education and outreach for seniors. She worked for HCA St. David’s HealthCare System for 15 years, finishing as a Case Manager in a Utilization Review and Discharge Planning position. In addition to working with Lambert Elder Care Law, Erin is the Outreach and Education Nurse for a family-owned dementia care residence in Georgetown, Texas. Erin and her family live in Round Rock, Texas and enjoy taking epic road trips to America’s National Parks. When she is not working, Erin enjoys volunteering for Alzheimer’s Texas and The Baron’s Men Elizabethan Theatre Troupe.